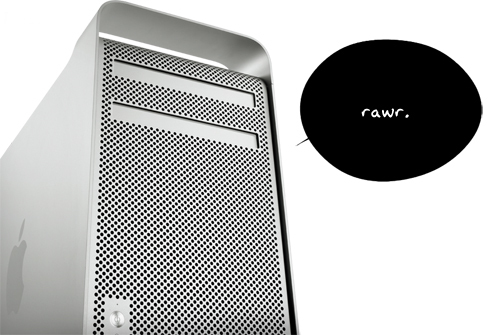 The 12-core Mac Pro has just been made available today in Apple’s store which was announced to be made available soon earlier in July, 2010. Starting with two 2.66GHz 6-Core Intel Xeon “Westmere” processors along with a 6 GB RAM and 1 TB hard-disk drive, a super drive and an ATI Radeon HD 5770 with 1GB GDDR5 graphic card, the Mac costs 4,999 USD. It can be further configured pretty much in terms faster processors, SSD drive options and upgraded ATI Radeon graphics cards.